Traidcraft and The Southern and Eastern African Trade, Information and Negotiations Institute (SEATINI) have co-written an advocacy guide for Civil Society Organisations (CSOs) on International Investment Agreements (IIAs). 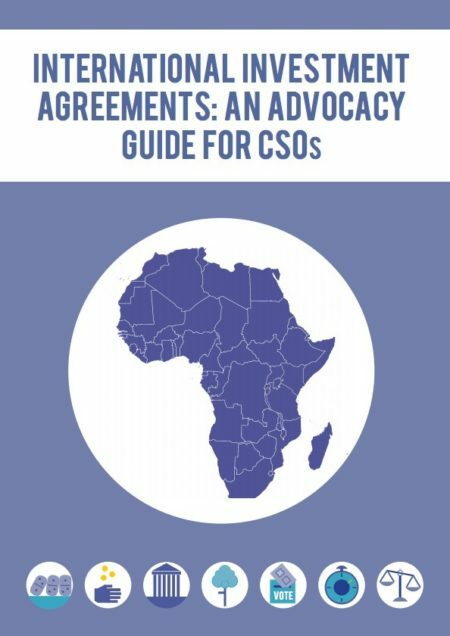 Primarily intended as a resource for those working in Africa the guide provides background information around IIAs and why CSOs should engage with these issues. The guide is set out in 9 sections providing background information to those new to the issue, an overview of the African investment landscape and a detailed section on how to develop an advocacy strategy for engaging with policy makers around IIAs.